Sue, I like the way you think! Hope you and all your buddies are finding inspiration at this latest workshop/retreat. The best thing about being a writer, in my opinion, is the juices flowing and the satisfaction felt when you’ve got it out there for others to read (who am I kidding – no writer ever really feels like a piece is perfect and can’t be edited further…haa!). The sounds of a reno on a grand victorian as a b&b have so many possibilities. The synergy you referred to is just the kind of shot in the arm the community needs! Resources and rich history do seem to make good bedfellows. I hope people are listening! My best to you as you continue to dream big in the snowy solitude!! Thanks, Steph! You are right, though – there is a satisfaction just getting stuff out there for readers, even if it’s not “perfect” or “finished,” which it never is. Good place to be AND to come back to…. Take care, be careful walking/driving and have fun- ENJOY!!! Thanks, Michele! Having fun and being inspired. Hope it’s all good with you! This would be a wonderful thing. Writers can always use the support. Sue, I hope you’re enjoying the peace and serenity of Vermont’s beautiful Green Mountains! I’m going to piggyback on your optimism and dream in print. I would like to see people come to Pottstown to experience a sustainable, vibrant downtown that contains great restaurants, galleries, and shops that specialize in ‘green’ services and products, as well as ‘Schuylkill River Trail’ products and services. I would like to see a community that attracts young singles who want to be part of a burgeoning arts and culture scene, middle-class families who are attracted to affordable, safe, stable communities and a highly regarded school system. Finally, I want to see Pottstown become a place that attracts seniors who want to be part of a walkable, exciting community filled with activities that keep them young. I would like to see a community that is known across the country for low taxes, high quality services and a transparent government. I would also LOVE to see a community known as a place where people work together towards a common future. 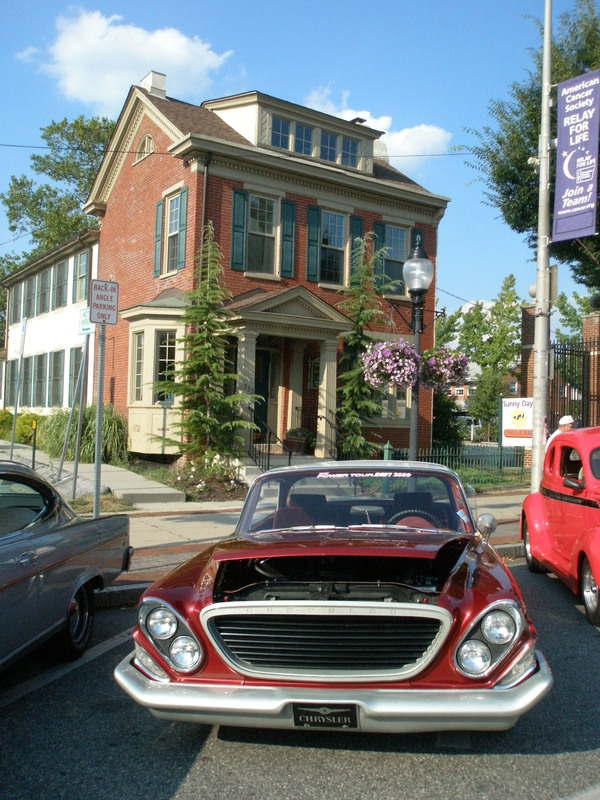 Here’s to a Pottstown that becomes the model for a Normal Rockwell community of the 21st century! PS, don’t forget to include writer field trips to the Pearl S Buck House, and the John O’Hara residence in Pottsville! Have a great day and enjoy the rest of your trip! AMEN! Thanks for putting it all in writing, Andrew! We sure miss you Sue! Your vision, (yours too Andrew), are exciting and so do-able. We’re on the way. I’m having a blast and will give a short reading tonight, along with other students. Actually, my 4-minute piece is about the Polar Bear Plunge! If you get the place in Stowe, we can just add it to the literary retreat empire! Taking your literary dreaming literally … the aforementioned literary arts festival could be held during the first or second weeks of November, to coincide (maybe a good thing, maybe not) with the annual writers conference conducted by Montgomery County Community College. In the past the conference has been limited to the Blue Bell campus with simulcasts to Pottstown. Betcha’ we could talk President Karen Stout and Director of Communications Alana Mauger to shift some events this way, or create new ones for the occasion. The 2010 conference, BTW, featured Keynote Speaker Michael Chabon, Pulitzer Prize and Hugo Award winning author of “Wonder Boys,” “The Amazing Adventures of Kavalier and Clay,” and “The Yiddish Policemen’s Union,” as well as an agents’ panel, workshops, and agent appointments. Is 2011 too soon, or you wanna shoot for 2012? Yes, there could be some really good synergy here with the College. In any event, let’s go for 2012! (I’ll be writing a thesis and preparing a lecture next fall.) Let’s get together to brainstorm when I get back. Thanks! More grist for this mill: Steel City Coffeehouse runs a Writer’s Night on Wednesdays.